Coal – A Prepper’s Friend or Foe? Some people deride coal as being dirty, ugly, and old-fashioned. They are short-sighted to do so. It is only slightly an exaggeration to say that coal has fueled and been a significant enabler of much of the modern world’s development. But these days, ‘conventional wisdom’ denigrates coal as being dirty, environmentally unfriendly, and generally nasty. The popular perception (which is completely wrong) is that the US (and possibly world-wide) coal industry is in terminal decline, because it is an obsolete and no longer effective/useful energy source. Is there actually any continued role for coal in the future – either in our ‘normal’ future or WTSHTF? Due to the prominence of coal for much of our past, that is a question we need to research and resolve. So, please keep reading. Historically, coal has been a long time and low-tech energy source, being reasonably easy to mine, to transport, to store, and to use. Any low-tech energy source becomes very relevant to us when we consider a future where our high-tech infrastructure may have failed. Coal has been used for hundreds if not thousands of years in homes, then subsequently as a fuel for stationary boilers in factories, then as a fuel for steam ships and steam locomotives, and as a feedstock for gasworks making city gas supplies, and as an energy source for power stations, and even as a raw source for hydrocarbon products of all sorts. As recently as the mid 2000s, more than half of our nation’s energy came from coal-fired power stations. In times of oil scarcity, coal has been used to make ‘artificial’ petrol and other liquid fuels. Coal is also used in the production of steel, cement, even paper, and many other things. The US is the world’s second largest coal producer and has the world’s largest reserves – more than 240 years of supply. So coal would definitely seem to be something all preppers should consider. As preppers, our major focus on coal would be as an energy source. The good news is that coal is a very good value source of energy, less than half the cost of most other major energy sources. There are very many different ways to measure the costs of energy, but the disparity between the cost of coal and other energy sources is so huge as to make it unnecessary to quibble over the last few percents. If you look at the table on page 3 of this document, you’ll see the following costs per million BTUs of energy for a range of different energy sources (2010 data averaged across the US). As you can very clearly see, and based on these wholesale/industrial rates, nuclear power is massively better value than any other power source, but coal comes second, followed closely by wood. Natural gas is three times the cost of coal, LPG and gasoline are about eight times the cost. So, in terms of theoretical cost per theoretical unit of energy, coal is massively better than all other energy sources open to us, both now and in the future. Another interesting point is that one ton of coal can create two barrels of oil. 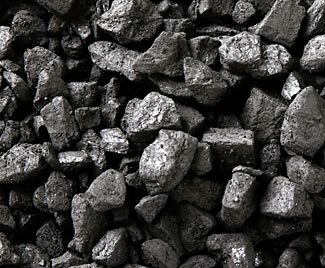 At the time of writing, this regularly updated coal price report shows coal varies in price from as low as $10.30/ton to as high as $68.25/ton. To put this number into clear perspective, even after allowing for carbon capture and other ‘best practice’ environmental considerations, it costs less than half as much to convert coal to oil than it does to buy a barrel of oil directly (here’s an interesting report on that topic). We point this out not to suggest we all create Fischer-Tropsch plants to convert coal into oil in our back yards, but merely to open your eyes to the enormous potential of coal for many different energy applications, both at present and in the future. It is very wrong to think of coal as ‘old fashioned’ (and as ‘bad’). If the preceding is even half-true, why don’t we all build massive coal bunkers and store tons of coal? Sure, it is true that coal is not a very ‘clean burning’ energy source, but who would worry about that after TEOTWAWKI, when all sources of industrial pollution with have been close to zeroed out? Let’s learn some more about coal. As you might have noticed from the coal price report linked in the preceding section, the amount of energy you can get from a ton of coal can vary widely, as do other factors such as its sulphur content. Here’s an interesting chart that sets out the varying amounts of sulphur and energy from coal in different parts of the US. The wide range of different properties of coal have been categorized into four broad categories (and there are sub-categories within each of these four main categories). The ‘best’ coal for most purposes is generally anthracite, followed by bituminous, sub-bituminous, and finally lignite type coal. Anthracite has the highest calorific (energy) value, the highest carbon content, and is the oldest coal. Each of the three subsequent grades have less energy, less carbon, and are more recent (albeit in geological terms of hundreds of millions of years). The subbituminous category is of interest, even though it would seem to be the third of the four grades, because it has a low sulphur content. Coal burns hotter than wood and can create more soot. If you are going to burn coal in your house, you’ll need to make sure that your fireplace and chimney system can handle the greater heat of coal. Coal also needs a different type of air flow than does wood. You need to have coal on a grate with air able to come in from under the great and go through the coal bed for its combustion. This is fairly critical – a solid bed of coal (as may happen after some hours of burning and a layer of ash being created) will prevent air flow and proper combustion; whereas too porous a bed will also fail to allow for optimum burning. A well tuned coal fire should generate little smoke, although that depends a bit on the type of coal being burned. Typically anthracite is preferred for home use and it is a ‘clean’ burning coal. We’ve seen people express opinions favoring one size over the other, and others favoring quite the opposite (for example here), and the best size probably depends on the type of stove/furnace and grate you are using. If you are using an auto-stoker device, then size becomes even more relevant. Suggestion – experiment to start with, using different sizes until you find the size that works best for you. As with any type of combustion indoors, we’d recommend you have a couple of CO detectors to keep an eye on CO levels, just in case unusual conditions interfere with the normal safe operation of your fireplace/stove. You should also have a fire extinguisher or two, and perhaps a bucket of sand (or baking soda) as an excellent way of damping down a coal fire if it starts to get out of hand. We’d also suggest you regularly inspect your flue/chimney setup for any ash accumulation and sweep it clear as needed. After a while you’ll get a feeling for the needed frequency of maintaining this – failure to do so might interfere with the venting of the fire and cause dangerous gas buildups inside your house, and/or might encourage chimney fires. Of course, if you change your coal type, you’ll need to ‘recalibrate’ your expectation of how regularly you need to clean your flues. We were earlier quoting the wholesale costs of different energy sources. As you can doubtless guess, there’s a world of difference between the ex-mine cost per pound of buying 1,000 tons of coal, and the cost of having one single 50 lb bag of coal delivered to your doorstep. Here’s a very useful fuel comparison calculator you can use to compare the respective costs of different energy sources for home heating. It comes with some default numbers that aren’t enormously out of line, but adjust them for the actual costs you’d pay in your area, and you’ll get a clearer view of the actual costs and benefits of different heating sources. Coal’s benefit reduces somewhat when you’re buying coal in small quantities, but it typically still shows some advantage over most other heating options. This was the first part of a two-part article on coal. Please now click on to read the second part of the article – Practical Issues to Do With Using Coal. I have 2 coal mines with-in ‘easy’ (pre teotwawki distance) with the one being within reachable distance (after shtf) and I have looked at setting up wood/coal burning stove so I can use either as necessary. So my question is – what is safest method to store coal? Would it be best in a heavy duty metal grate ‘frame’ that was say 8’x8′ by 4’high with a raised roof over it and airspace between it and ground? Thinking if grating was set up oh pipe frame (designed to handle weight) would the airflow on all sides constitute enough air to reduce risk? This size would mean all edges would be within 2′ of center of pile and roof would (hopefully) keep majority of rain off. Or would one of the large metal hopper bins (like grain is stored in on farms) work better – do you know if anyone has used these – as a ‘no air’ holder? The grain bin/hopper style would be easy ’empty’ compared to raised or framed pile but not sure if this has been done? And hello to you, too, Mrs Fletcher. You are very fortunate to live close to a coal mine – indeed, close to two of them. Are they surface mines or underground mines? Surface mines are probably easiest to continue operating after TEOTWAWKI). We touch on these issues in the second part of our series, Practical Issues to Do With Using Coal (see in particular the sections about the downsides of coal and how much space a ton of coal requires). A more detailed answer depends on how much coal you would plan to store, and how it would be delivered to you. If you are getting full or partial truck loads of coal you’ll probably want the truck to be able to tip the coal directly down into one or multiple bunkers; if you want to get the coal into an above ground hopper then that brings up new issues of how to either get the truck up to the hopper’s filling point, or the coal itself, subsequent to being offloaded at ground level from the truck. Nothing is impossible, of course, given sufficiently lavish amounts of funds, but our feeling is that most people will want a simple system that allows a truck to back up to a point and dump the coal off the back of the truck. From that point forward, most people would probably prefer to carry coal, a bucket at a time, from a cellar up to their fire place, rather than have to somehow transfer 20+ tons of coal all at once from where it was dumped and into storage hoppers. As for airflow issues, that depends on the size and type of coal you are getting. You should try and get some feedback from your coal merchant and other people who are storing the same coal as to what seems to work for them and what sizes/shapes/etc of coal piles have been problematic. I have a 25MB PDF file of a 1918 article that very thoroughly discusses these issues; I’d be pleased to email you a copy if you’d like. For something more up-to-date and directly relevant, here is a link to a site with 83 pages of user discussions about coal bins and related topics. You’re sure to find a lot of helpful information there. I would be very interested in reading the PDF 1918 article that you mentioned. I live in a remote area off grid and have given thought to the fact that coal as a storable energy reserve would be by far the best option for me. Should times get hard and supplies be cut off from town cutting fire wood would become very hard for me, ie. gas chains and bar oil for the saws. I am thinking of building a coal reserve and want to know I am taking all the right steps to protect my asset. thank you very much.